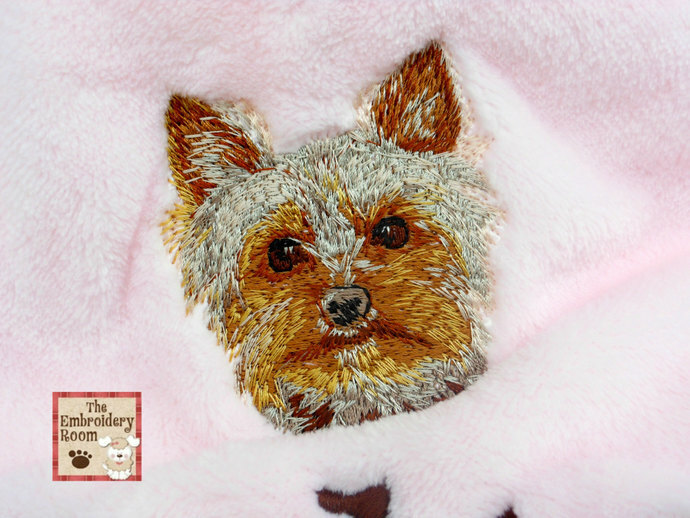 What Yorkie lover wouldn't love this soft luxurious blanket for their pet? 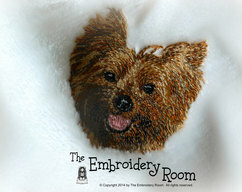 Absolutely adorable little Yorkie is is lovingly stitched on a blanket of your color choice. It can't get any softer than this. It's a real baby blanket! . I'll personalize it with your pet's name as shown here in black or brown with the Caroline font. 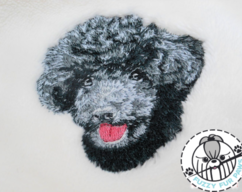 Please specify your pet's name in the comment section when ordering. If you aren't a fan of this font, you may request another. I can send you other samples. I've made many of these pet blankets and it always amazes me to see how the pet reacts to them. They seem to know the blanket is theirs from the start. Maybe it's the softness of the blanket or maybe they can sense it was made specially for them so it belongs to them. Whatever it is, dogs simply love them. These are the softest, plushest on the market. As stated above, they are actually Tahoe micro fleece baby blankets! Heavy knit with ultra fine microfiber yarns, and finely sheared on both sides, for the softest touch that rivals cashmere. Made of 100% micro fiber polyester fabric. Measures a generous 30" X 40". Natural, white, light pink, light blue, and hot pink. 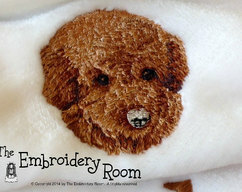 I'm happy to work with you to make this the absolute perfect blanket for your dog. 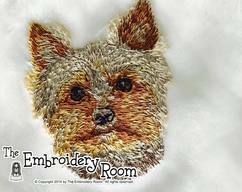 Colors in the embroidery design may vary slightly.